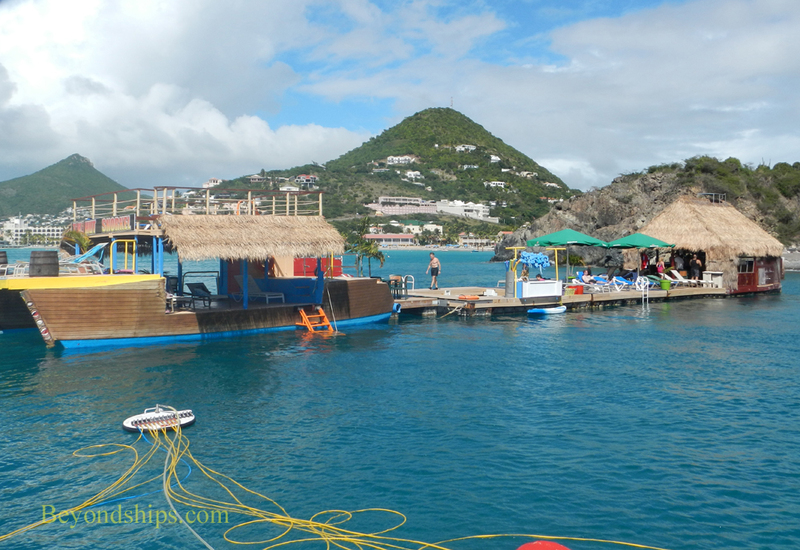 The island has facilities for a wide variety of water sports and activities. In fact, you can find activities that will take you above (e.g. 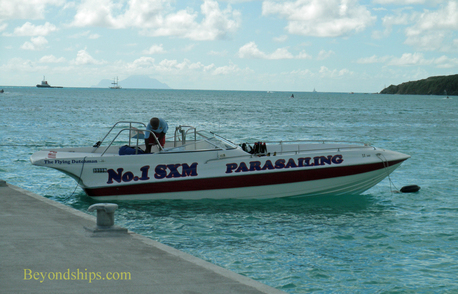 parasailing), on (e.g., jet skis) or under the water (e.g. snorkeling) (see also our article on helmet diving in St. Maarten). 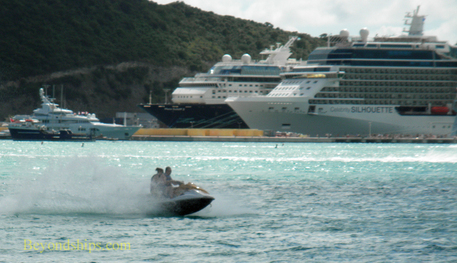 There are also a number of excursion boats offering various types of tours. 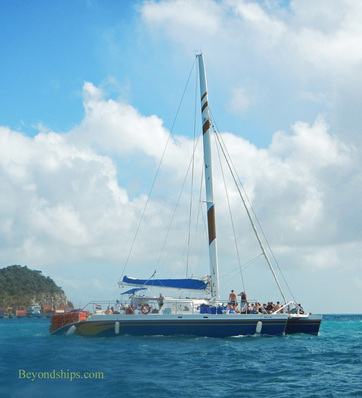 Some include swimming and snorkeling while others are just an ocean voyage. Another option is a voyage in a semi-submersible, which allows you to view the underwater world without submerging. 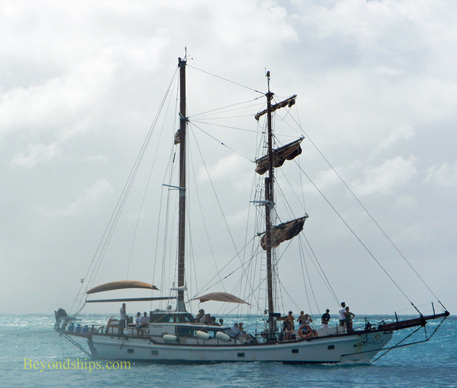 A popular shore excursion that is often offered by ships calling in St. Maarten is an excursion on an America's Cup Sailboat. 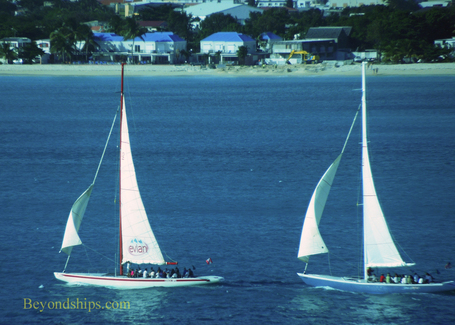 The excursion involves a race between two racing yachts on the Great Bay. Guests can either participate in the actual sailing of the boats, which can be quite strenuous, or just go along for the ride. (See separate article). 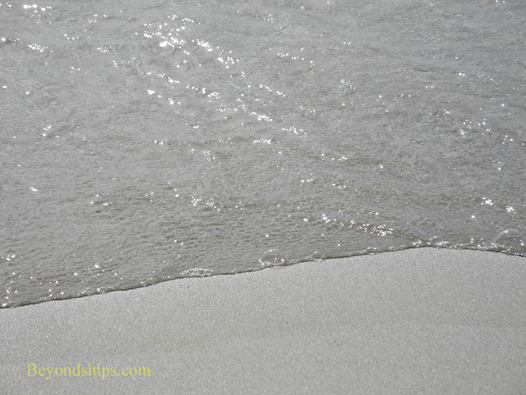 The interior of the island is less developed than the shoreline. 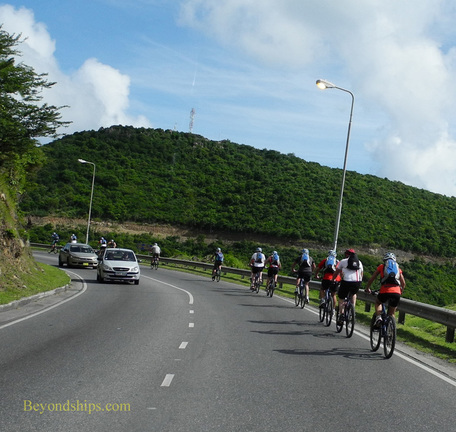 However, that creates opportunities for hiking and for bicycle tours. Pic Paradis (Paradise Peak) at 1,391 feet (424 meters) is the highest point on the island. The peak can be reached by car or on foot. 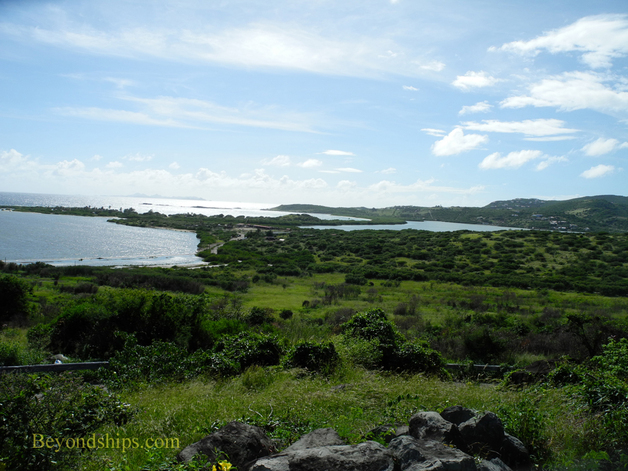 Tours of the island will often stop at a point on its slopes for the view of Orient Bay and neighboring islands. The Butterfly Farm on the French side of the island features an enclosure with hundreds of butterflies. Visitors are given guided tours explaining the life cycle of the butterfly. Meanwhile exotic butterflies fly around and land on the visitors. Also on the French side is Loterie Farm. On the grounds of an old plantation, the farm includes 135 acres on the slopes of Pic Paradis. It has a nature reserve for eco-tourism and hiking as well as zip lines for treetop adventures.